Visitors and residents of Auburn who visited the Outdoor Sculpture Gallery in Auburn, WA voted Joie de Vivre People’s Choice. The sculpture has been on loan for one year as part of Auburn’s Outdoor Sculpture Gallery. 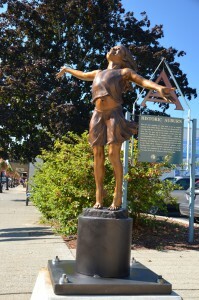 After it was selected as the people’s favorite, the City of Auburn committed to purchasing the sculpture and make it part of their permanent collection.